Thanks to HISS Tank boards member jaimanstone for pointing out that starwars-descriptions.com has posted all new images of the upcoming 2010 AT AT! This highly anticipated, and long rumored vehicle comes right on time for the 30th anniversary of Empire Strikes Back, arguably the most pivotal movie in the original Star Wars trilogy. These new images visibly shed light on the eyewitness account and previous update. To get a good look at this exciting new item, click on the title bar! This is all a big tease. I want pics! I call the first pic "the sweater"
I dunno, the FP post has two good ones. Looks great so far, now I want to know price. I saw somewhere on rebel scum I think, that it's going to cost 100. I saw somewhere on rebel scum I think, that it's going to cost 100. The pics give it a little sense of it's size but it looks like a proto with little detail. Can't wait to see the final product. I am really excited for this. I already have the At-st. It's a great vehicle and nice scale. 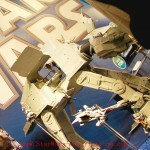 I hope that the At-at will be shown at NYTF with some Snowies. And for $99 it's a steal. Imma buy it the day of. I don't know what you guys are talking about with this $100 stuff. Don't get me wrong, I really do hope it costs around that much. 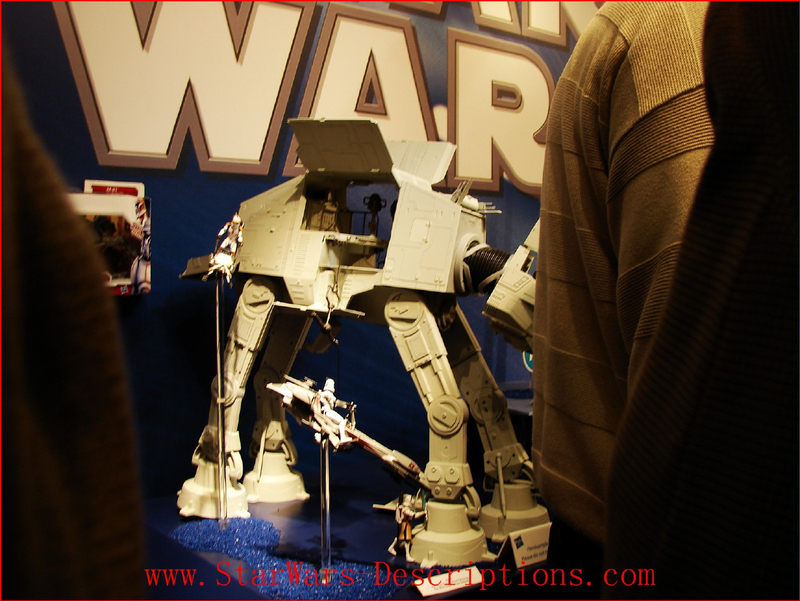 But with the prices of these Star Wars vehicles lately, I wouldn't be surprised if it was around the $200 range. 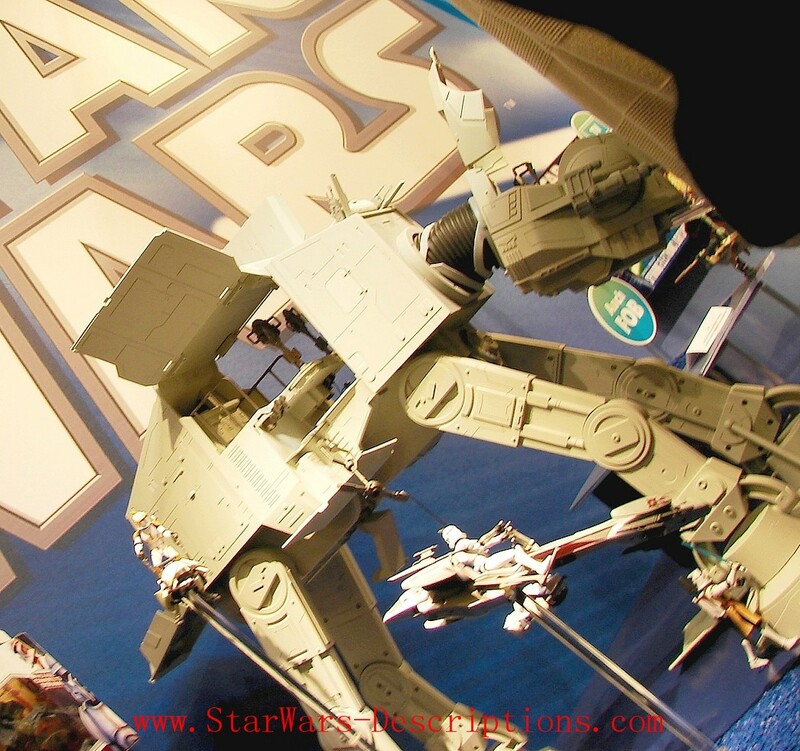 The AT-ST alone was $43. The latest Republic Gunship was like $70 or $80! 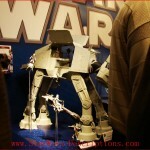 If this AT-AT is really gonna be around 3-feet tall then I'm sure it will be well over $100. Still getting at least one, though. If I ever see any make their way to clearance prices I'll pick up more. Confirmed $99.99 man, Hasbro has it listed in a press release. Well, then that's the best news I've heard all week!!! Awesome! Might even be able to talk my wife into letting me get one. Otherwise, I'll have to wait for a sale/clearance. Yep, BMF was $150. I think the primary reason the new AT AT is cheaper is because the AT AT's plastic is mostly around the body, the rest leg, whereas the BMF was one HUGE chunk of plastic, literally.